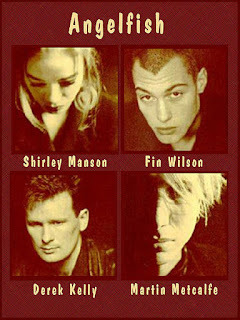 Shirley Manson started out in the band Goodbye Mr. Mackenzie in the '80s, supplying backing vox and keyboards. When that band failed to break into the US market, they refashioned themselves as '90s chick rock band Angelfish, with Manson taking the lead role. They only lasted 1 album, but it's pretty decent.